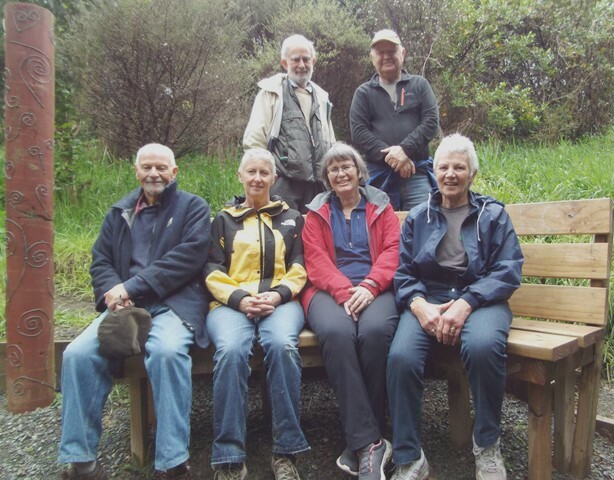 The Royal Forest and Bird Protection Society of New Zealand is one of the oldest and most respected conservation organisations in NZ. 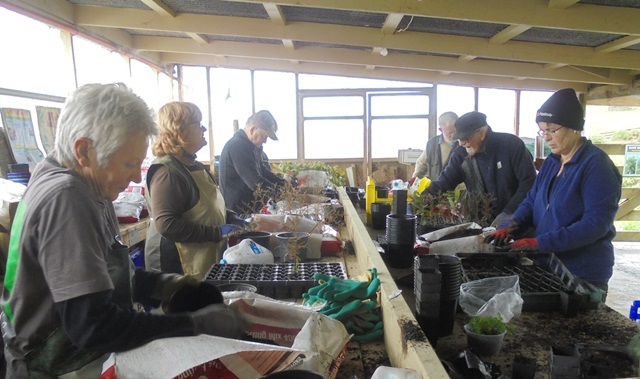 The Society has over 70,000 members in fifty branches around the country and today our friends from the Warkworth Branch spent a day at CUE Haven helping us pot up seedlings. 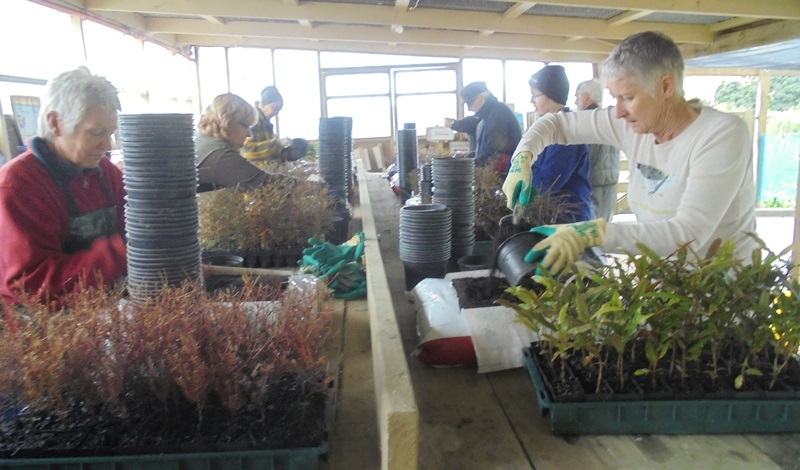 At this stage of our restoration project, we have almost completed the pioneer planting of the open paddocks and for the next few years will be concentrating on planting long lived forest giants amongst the pioneer trees. 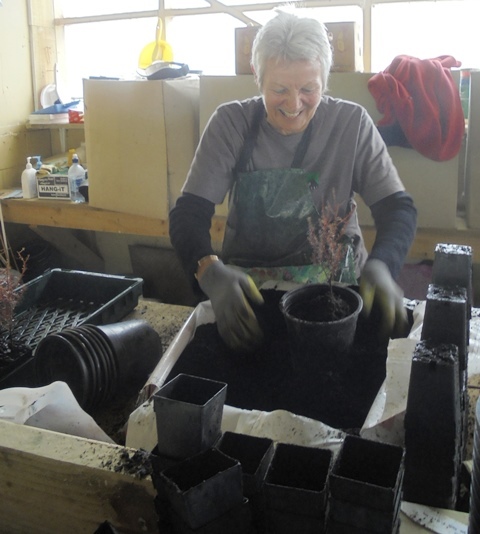 We acquire tiny seedlings of the canopy trees which our wonderful volunteers transplant into larger pots. 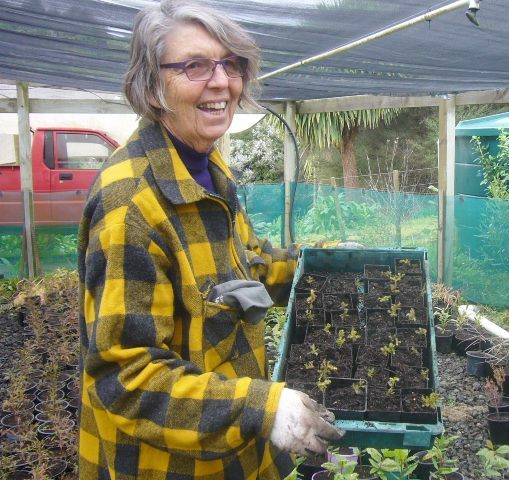 The trees are nurtured in the CUE Haven nursery for a year or two until they are ready to be planted in the field. 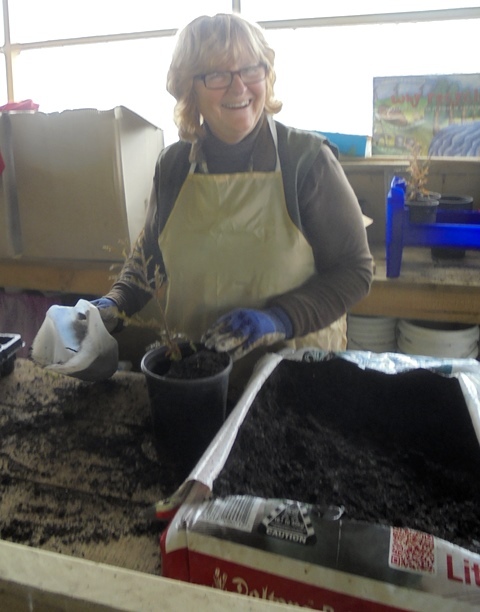 Joining us to help out today from Warkworth were Mel, Patte, Raewyn, Roger, Rosemary, Russell, Sally and Tim. 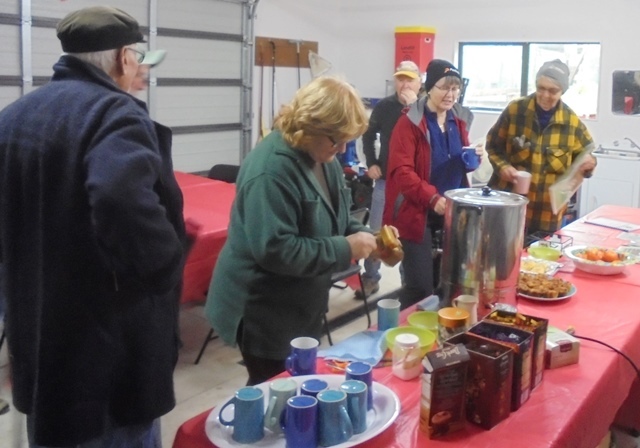 The group arrived shortly after nine and we got acquainted over morning tea. 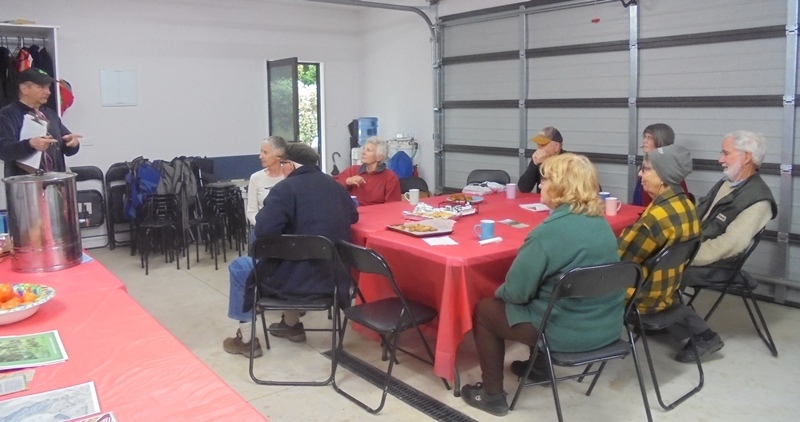 Mahrukh then gave a briefs overview of the CUE Haven project and Thomas gave a safety briefing and overview of the work to be done. 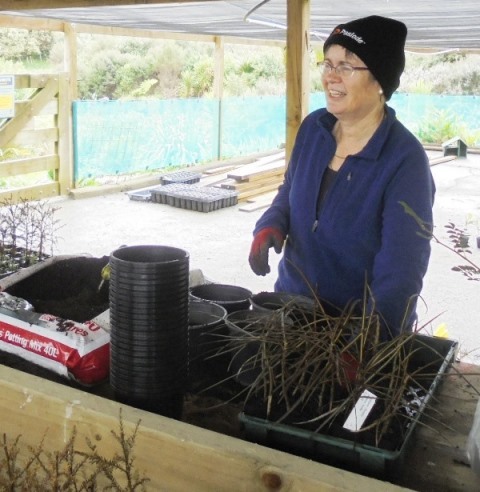 We then headed to the nursery and the team went to work potting up kahikatea, kakabeak, kauri, lancewood, matai, rewarewa and taraire seedlings. In no time the hardening up area of the nursery filled up with new arrivals. 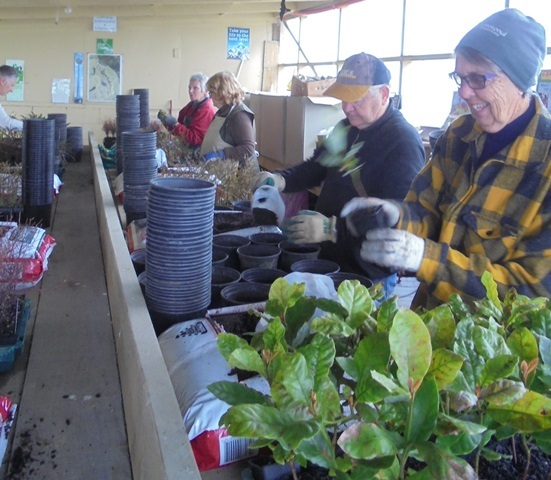 And in just under two hours the group had potted up over 500 seedlings and cleaned up the nursery—an amazing effort!! 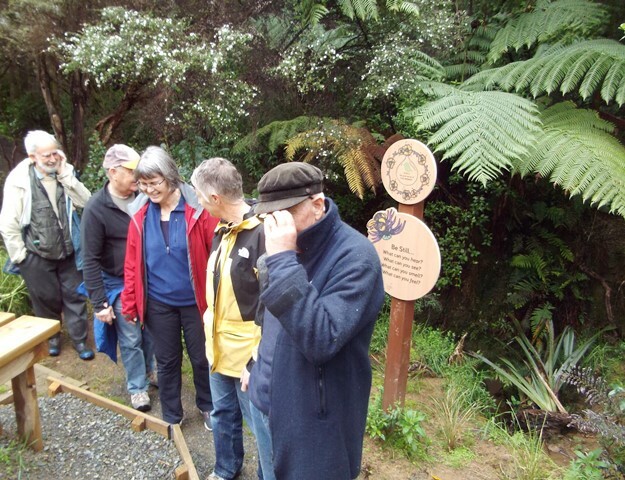 Then some of the group joined Thomas on a short hike around the property before lunch. 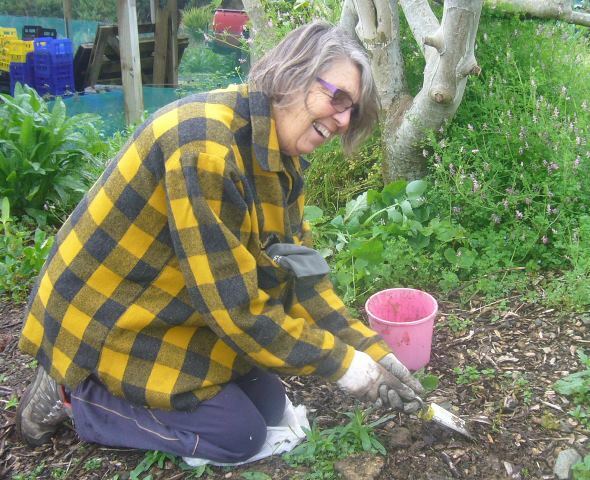 But Sally and Patte decided to stay back and do some much needed weeding in the orchard. 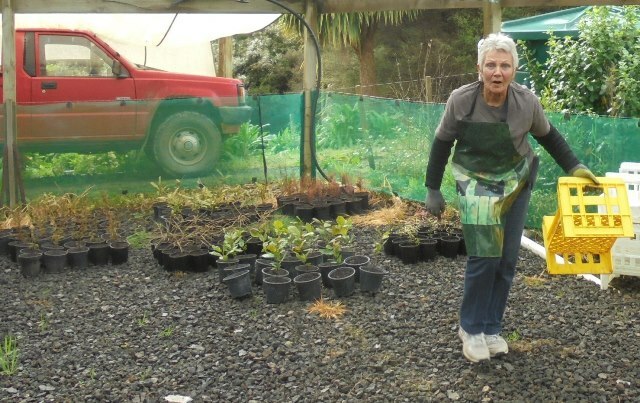 Under the weeds Patte found a few baby kahikateas seedlings which she transplanted into little pots. 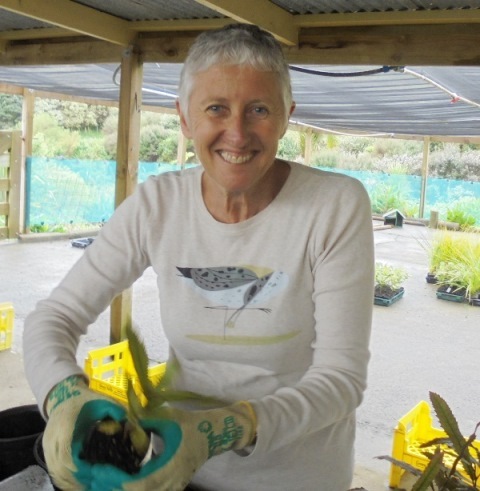 Thanks so much—it’s a real win win to get rid of weeds and find some valuable canopy tree seedlings! We had a really fun day with the Forest and Bird team. 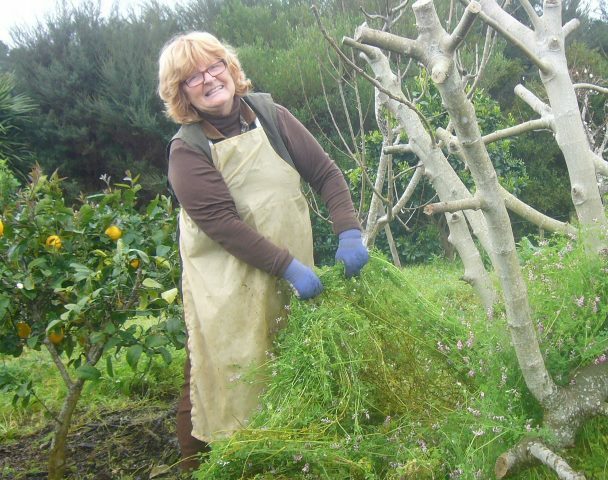 Not only did they plant up all the canopy seedlings we had on hand (which we hadn’t expected), they also did some weeding. Wow! 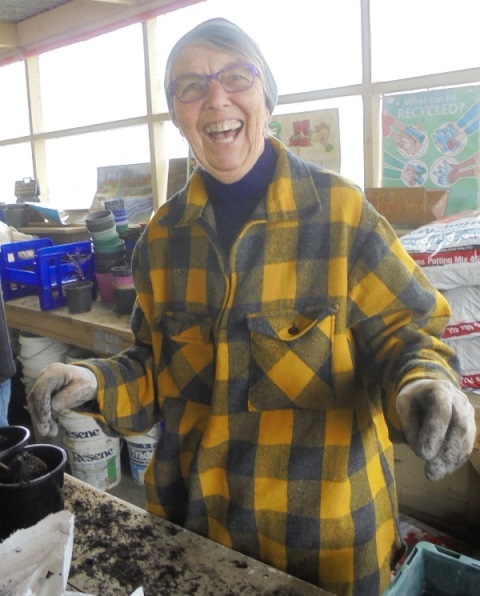 A very special thank you to Raewyn for organising the visit today and for gifting us the kakabeak seedlings. 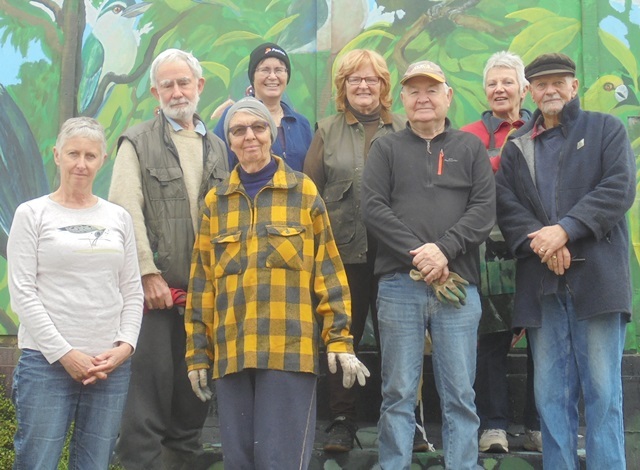 And we want to thank the Rodney Local Board for the generous grant which funded the purchase of the other canopy seedlings. 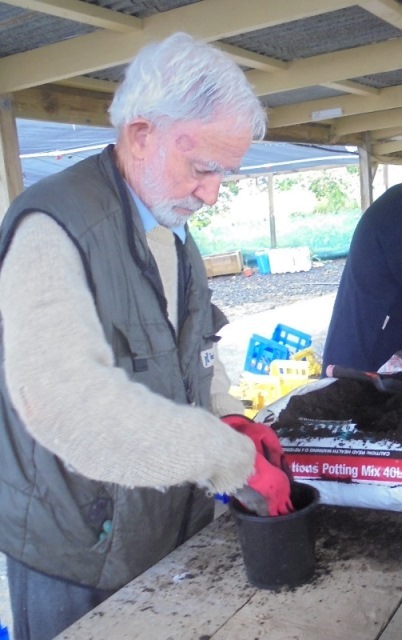 A big thank you to Daltons Landscape Supplies for their continued support of CUE Haven and for donating the potting mix used today. 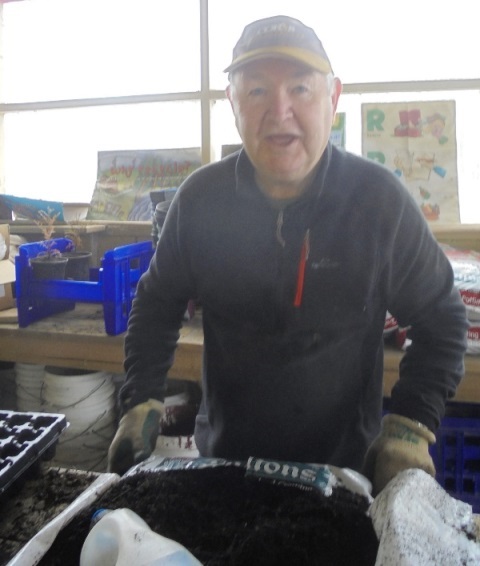 Also, many thanks to our friend and supporter, Simon Kuo and his family, for their ongoing support of our restoration efforts and for also donating a huge quantity of new pots which we used for potting the seedlings. 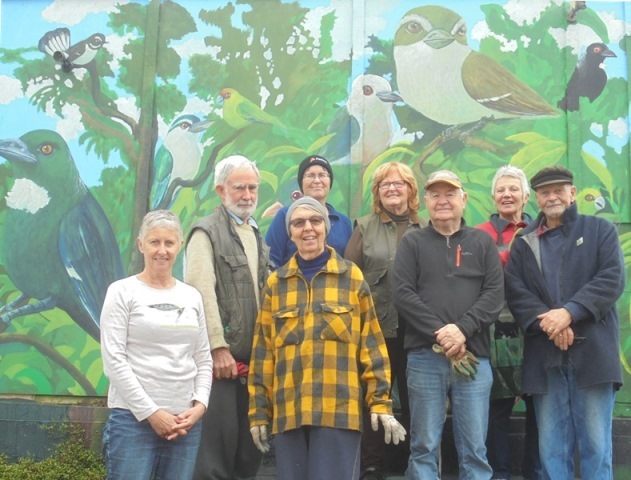 And most of all our heartfelt thanks to the Forest & Bird Warkworth members who helped out today. We really appreciate you giving up your Sunday to come help us and for all your hard work and efforts. We hope you enjoyed your visit and we very much look forward to seeing you back at CUE Haven soon.